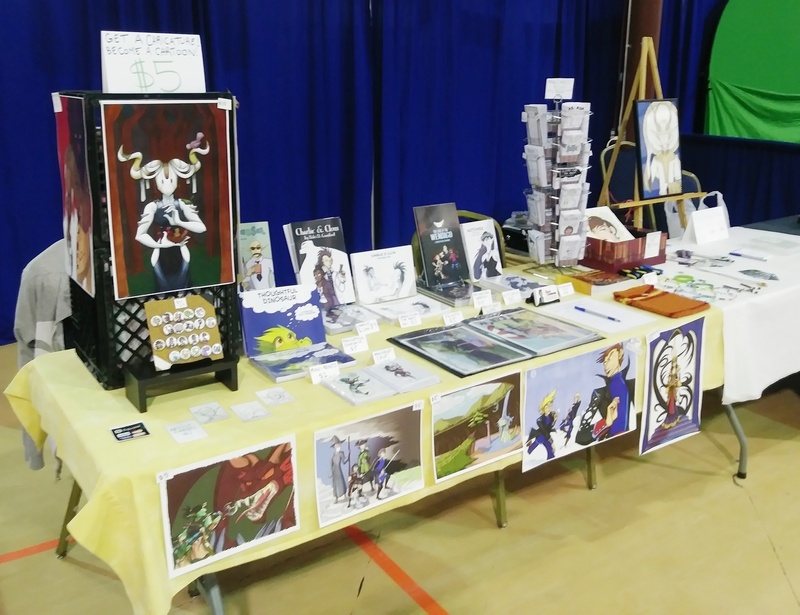 West Virginia Pop Culture Con: ROUND 2! 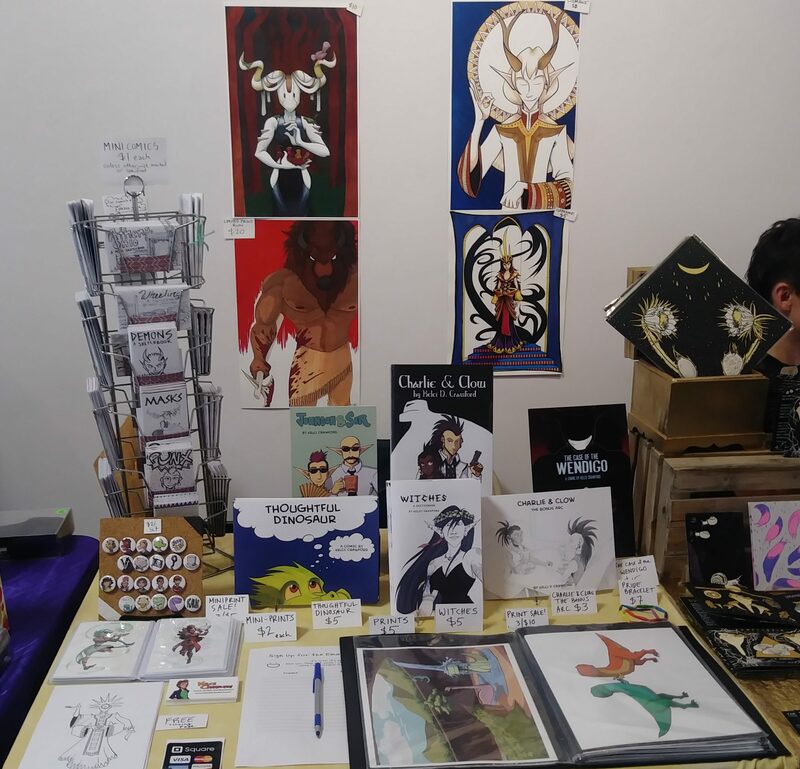 My second year at West Virginia Pop Culture Con went SUPER FREAKING WELL. Somehow Dave (my table buddy and Patreon patron) and I managed to get TWO table spots (don’t ask me how. I’m still baffled). 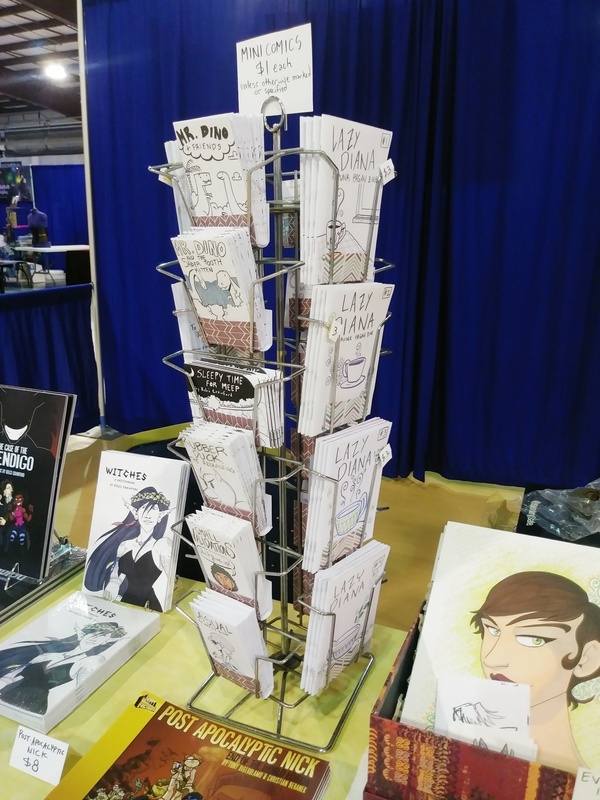 I wasn’t prepared for the extra long table space, but now I’m getting ideas for how I want to do a two-table spread at future cons, if that ever happens again. Or even better – a corner spot. This year was awesome, not just for me but for Dave, as well. 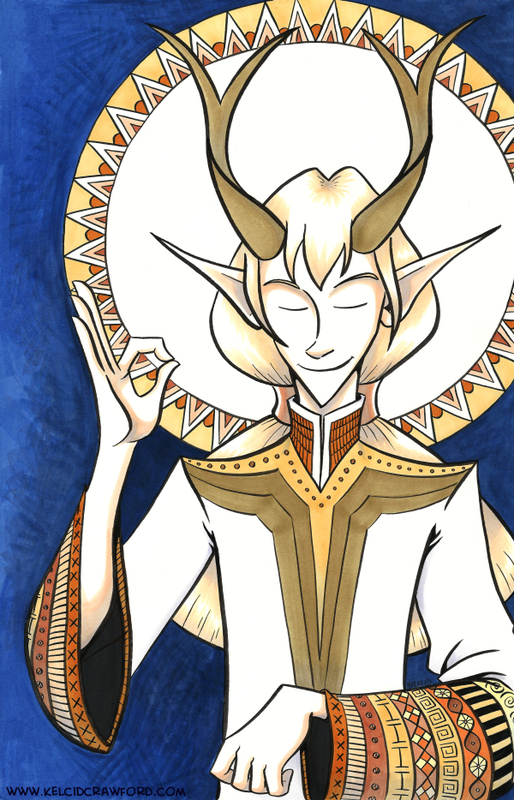 It also went really well for Cheyenne, another art buddy! 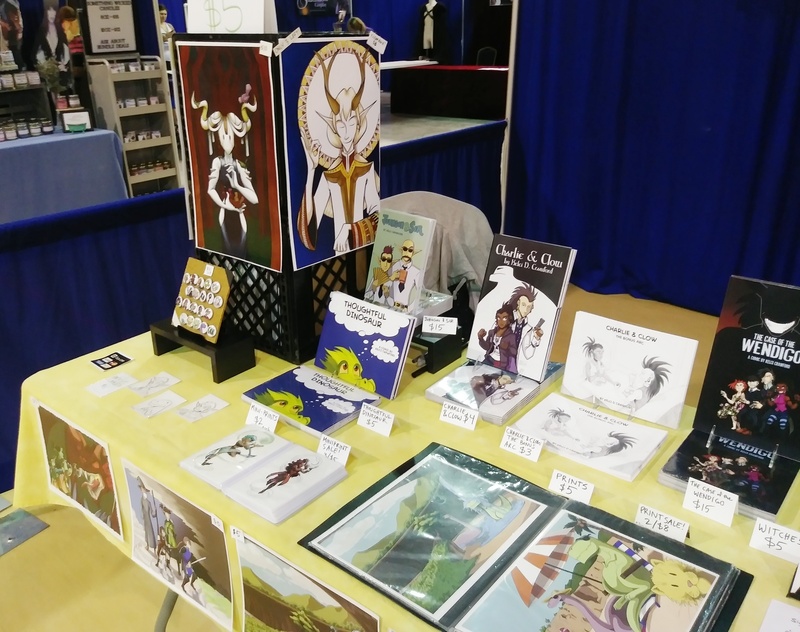 WV Pop Con is really the place to go as an indie creator, because the show focuses a lot on the creative talent. I don’t think there were any celebrities at this show, except (arguably) for the guy who’s currently working on the art for Scooby Apocalypse, Patrick Olliffe. For one thing, I forgot the jar to slip bids into. Oops. Not that it would have mattered, because there were only two bids placed on this baby – one bid was for $5. The other was for $7. My minimum bid was $50. So, not going to do the silent auction again. I kept the framed art piece because I am NOT selling off an original art piece measuring 11 by 17 inches WITH A FRAME for $7. Just gonna’ mark it to $150 as a flat rate and take it to Comicon Erie (unless someone in Saint Clairsville, OH, Wheeling, WV, or Youngstown, OH REALLY wants it. In which case, leave a comment. Let me know). On the more positive side of things, my profit margin was higher than last year because I lowered my cost on one major thing – a place to crash. Last year I stayed at a hotel (La Quinta). This year I stayed at an AirBnB and saved myself an EASY $100. Another thing – having a table buddy lowered my table cost. And it got Dave a place to showcase his work… which is good because it turned out that this was his best show as an exhibitor EVER. P.S. 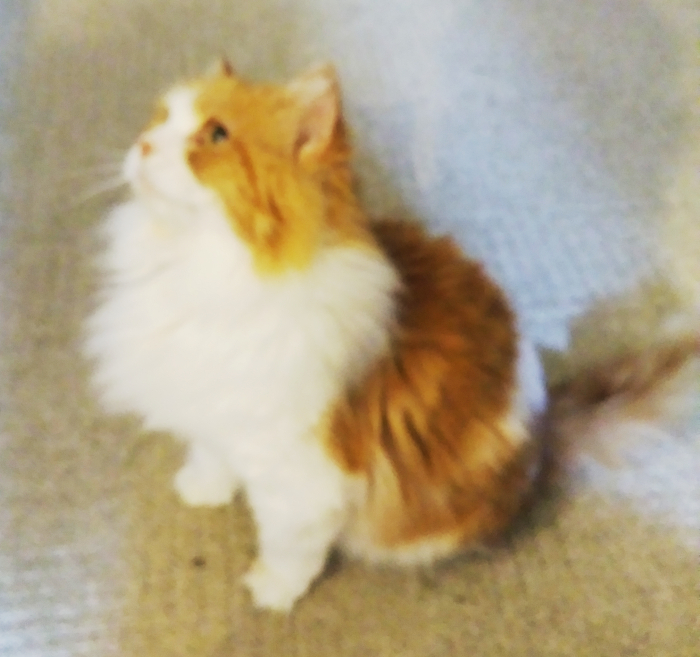 The AirBnB I stayed at had a 15-year-old cat named Splash. She is the sweetest ball of fluff I ever had the joy of holding and petting.